All goats have hair, but the hair of Angora and Cashmere goats is especially luxurious. Most goats have two kinds of hair – primary and secondary. Primary hairs are usually straight. Secondary hairs are usually curly. The main coat for most breeds, including diary goats, contains mostly primary hairs. Goats originating in cold climates have long primary hairs, making them look shaggy. As insulation against cold weather, some goats grow a coat of secondary hairs. Short, down-like secondary hairs are known as cashmere. 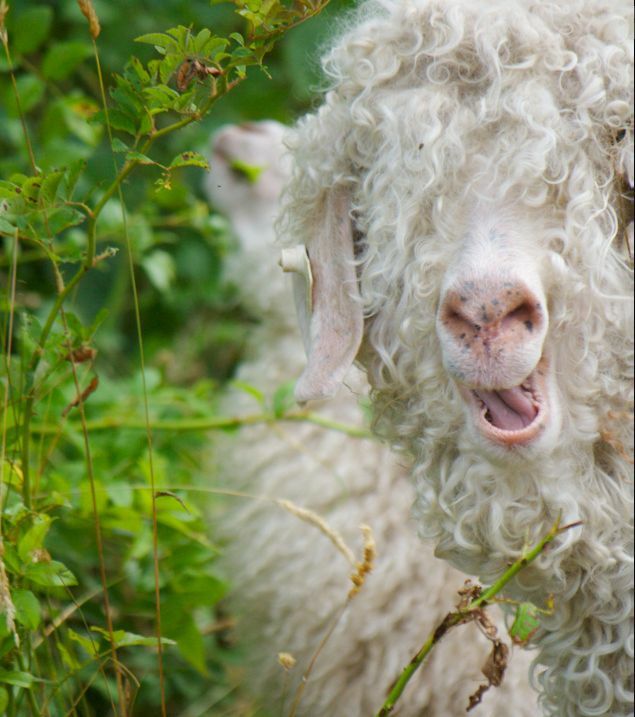 The long, densely packed secondary hairs of an Angora goat are called mohair. On an Angora, primary hairs are called kemp and are undesirable. Angoras goats are believed to have originated in the Himalaya Mountains of Asia. They found their way to Turkey where the name Angora was derived from Andara, the name of the province where the goats thrived. Angoras were highly regarded and jealously protected from exportation until the nineteenth century. 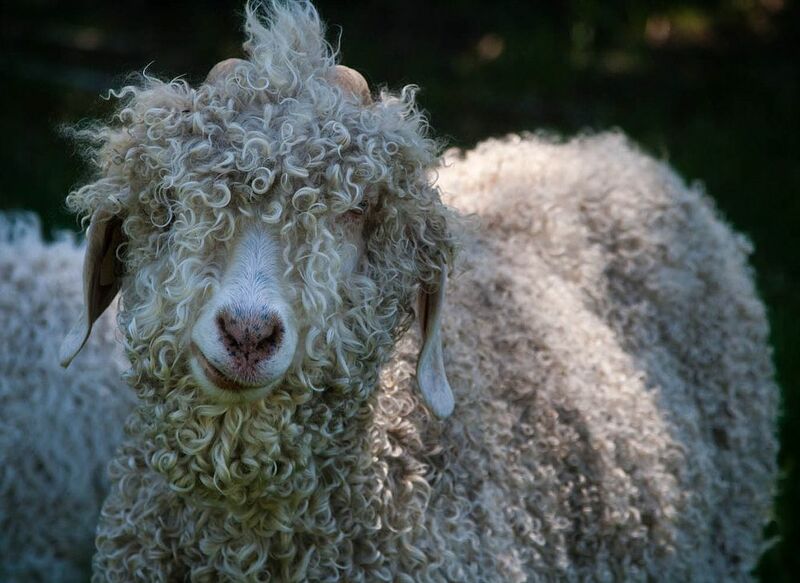 The Angora goat’s history in the United States traces back to an 1849 importation, when Dr. James B. David of Columbia, South Carolina, was given seven does and two bucks by the Sultan of Turkey in gratitude for experimental work to improve Turkish cotton. 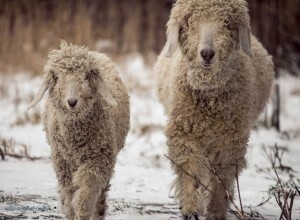 By the time the Civil War began in 1861, a number of Angora flocks had been scattered through the South and Southwest as well as in the North and West. After the war, they moved to Texas and California. The Angoras proved adaptable to a wide range of conditions, but they seemed most at home in the central and southwestern region of Texas, where ranges were large and offered a selection of browse particularly suited to them. They enjoyed a period of economic importance in such Western states as Utah, Arizona and New Mexico but since World War II, have tended to recede principally into Texas. An Angora registry was established in 1900. 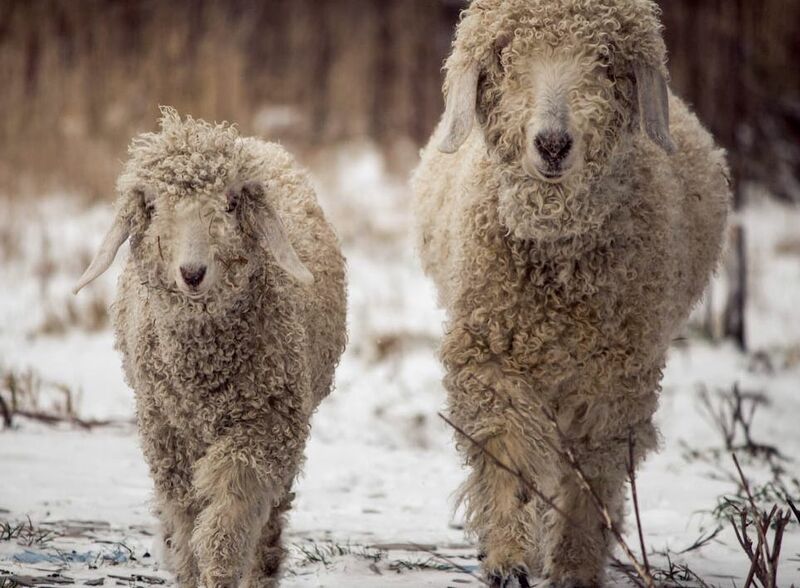 The American Angora Goat Breeders Association has it headquarters in Rocksprings, Texas, in the very center of the principal remaining Angora range. Billies are placed with the nannies in October so the kids will arrive from mid-February through March and sometimes into April. For the most part, nannies are allowed to kid unassisted on the range, but in some flocks, they are herded into pens and sheds for supervision. In earlier times, newly-born kids were tied to a stake and given small boxes to crawl under for shelter. The nannies were periodically brought to them for nursing until the kids were strong enough to be turned out safely into the pasture with their mothers. High costs have virtually eliminated such labor-intensive practices. Angora goats are shorn twice a year in Texas. “Spring” shearing comes in early February through March, just ahead of kidding time. Because of the danger of late-winter cold rain, it is common practice to keep the freshly-shorn goats to small pastures with access to a barn or shed for at least a few days after shearing. This makes it easy to pen and shelter them at night, or even in daytime if a weather emergency arises. It is common practice in some areas at spring shearing to leave an unshorn strip know as a “cape” down the back to protect the animal’s cold-sensitive spine. Usually – but not always – this cape is later removed by a raised shearing comb or hand shears which leaves a stubble similar in length to the regrowth elsewhere on the body. “Fall” shearing runs from mid-July through August. Usually the goats are shorn to the skin at this time, leaving them vulnerable to unseasonably cold rains, which on occasion may cause more losses in fall than in spring. Angoras normally produce three-fourths to an inch of hair growth per month, making adult hair average four to six inches in length at each of the semi-annual shearing. For many years, Angora goats were bred more for hair production than for kid production, at some cost to their basic fertility. In addition, it has not been traditional for ranchers to give goat nutrition the dedication provided to nutritional needs of their sheep and cattle, though research has shown the Angora goat to have the most critical nutritional requirements of any common Texas livestock species. Fortunately, good mohair prices have encouraged increasing rancher attention to this neglected area. Angoras on most ranches today are fed better and managed with a care they never had before, resulting in much-improved kid crop percentages and a longer useful life for adult goats. In recent years, nearly all Texas mohair has been going to overseas users. Over 90 percent of the total clip has been exported with the greatest quantity going to the United Kingdom. Other European countries account for most of the rest, with Japan getting a small but significant amount. Mohair is usually loaded into containers at the warehouse in approximately 35,000 pound quantities. These containers are transferred to the port for transport overseas. Most commonly, that port is Houston. As mohair use in the United States has declined, so have the processing facilities for scouring and combing of mohair. These are concentrated in two cities: San Angelo and Brady, in the heart of the producing area. this simplifies the shipping problem for users who want mohair processed before shipping overseas. Kemp and medulated fiber content in good quality lots of Texas mohair is usually less than 2 percent. This compares favorably with mohair produced anywhere in the world. Mohair fiber is graded by its width in microns and classified as top, grease mohair, card sliver and noil. 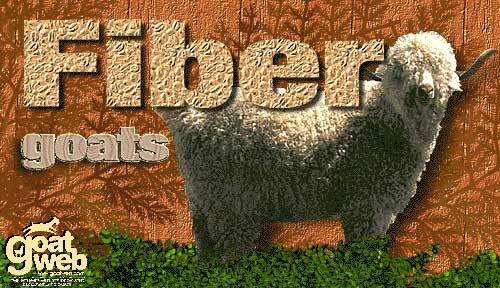 Visit our Breeds & Breeding forum section and our fibers section!